Kiernan, Matthew J. Investing in a sustainable world : why GREEN is the new color of money on Wall Street. Wiley, 2009. 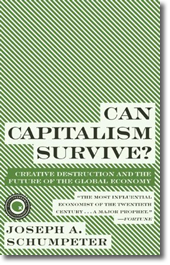 Krosinsky, Cary and Nick Robins, eds. 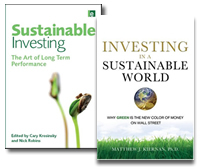 Sustainable investing : the art of long-term performance. Earthscan, 2008. Traditionally, ethical and socially responsible investing has been driven by personal values. While this approach has been successful in some sectors in the U.S. and the U.K., the mainstream institutional marketplace has been out of reach. But now, research by Innovest Strategic Value Advisors shows that companies with superior positioning on sustainability issues achieved superior financial returns. Two new books discuss how both Wall Street and Main Street are now interested in investing in ethical, social and green companies to attain long term financial performance. Two component publications in the SRDS Media Solutions database platform will be unavailable this weekend during scheduled upgrade maintenance. From 5:00 PM EST, Friday October 16th, until 1:00 AM EST, Monday, October 19th, the Business Publication Advertising Source, and the Consumer Magazine Advertising Source will be offline and unavailable. SRDS is upgrading and re-naming these component publications during this downtime. Please email us if you experience any difficulty accessing other publications within the SRDS Media Solutions database. Note that the U.S. National Parks documentary listed below is Ken Burns’ latest film. UPDATED: 10/15/09 – Access has been restored! The London office that manages Economist.com made some web site updates overnight that “broke” authenticated access to many Economist.com site pages and to the Economist Magazine for their academic customers. Thanks for your patience during the outage. Duke University Libraries access to text + graphics issues of the Economist Magazine via Economist.com is temporarily unavailable. Duke users who attempt to access the Economist Magazine via Economist.com from our Economist Publications home page, and from the Library catalog are being erroneously prompted to login by Economist.com. We have contacted EIU concerning this issue and are awaiting their response. In the meantime, the current, full text (no graphics) of The Economist Magazine is still available from our Economist Publications home page, and in the ABI-Inform Complete database. Thanks for your patience while we work with EIU to resolve this issue. The library staff has a training session in the database room Friday October 9 from 9 am to 10 am. Sorman, Guy. 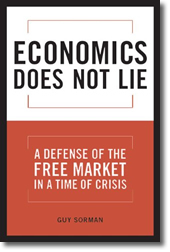 Economics does not lie : a defense of the free market in a time of crisis. Encounter Books, 2009. Curiously, the Nobel Committee has awarded prizes to economists with theories supporting contradictory approaches for understanding and managing national economies ranging from Keynesian to free market. 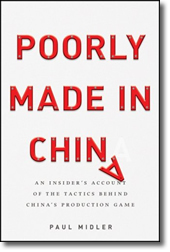 Guy Sorman’s Economics Does Not Lie gives a unique perspective to why this enigmatic phenomenon has occurred.